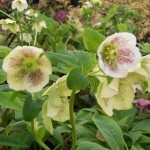 An evergreen perennial with late winter to spring blooms. 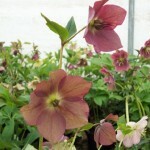 It is a mixed seed grown strain, selected for a long bloom period and outstanding foliage. The colors will vary from white to pink to purple, some spotted or brushed with contrasting color. Each plant will be unique. 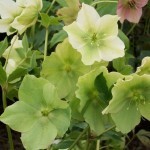 It prefers full sun to part shade, and loamy, neutral pH soil that is moist and well-drained.